I don't know why I'm not so interested on this movie before. I even don't understand why James Cameron wants to change The Last Air Benders title just to give way to his movie. But I think this movie is really big because before it even premieres at the end of the year, some of us will get the chance to see the sneak peek of this James Cameron Masterpiece. 20th Century Fox heralds a global, history-making event when on August 24, the Philippine’s select audience will get a first look at director James Cameron’s motion picture epic “Avatar” at IMAX® Theater SM North Edsa. 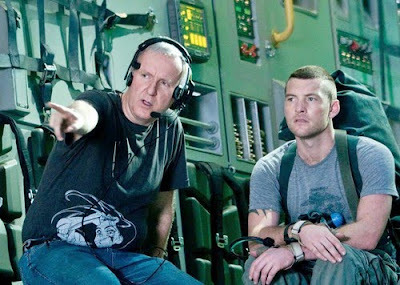 “Avatar” is Cameron’s first feature directorial debut since “Titanic,” the highest grossing film of all time and winner of 11 Oscars® including Best Picture starring Leonardo DiCaprio and Kate Winslet. 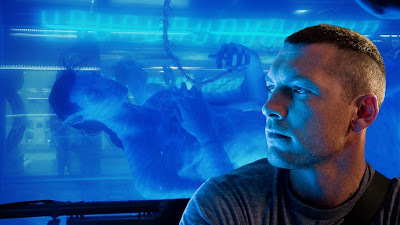 In this unprecedented experience, the audience can look forward to the renowned filmmaker’s hand-picked scenes of “Avatar” in 3D as it unspools for three showings on the evening of August 24. Simultaneously, the Philippines’ premier portal city guide www.ClicktheCity.com will launch the teaser trailer of “Avatar” online. The worldwide teaser trailer launch will likewise be presented in all formats, including IMAX® 2D, digital 3D, digital 2D and 35mm to be available in theaters nationwide succeeding the event. “Avatar” pioneers two unrelated technologies – e-motion capture which uses images from tiny cameras rigged to actors’ heads to replicate their expressions, and digital 3D. The movie takes us to the spectacular new future where pulse-pounding action sets forth from a mythical planet named Pandora. Embroiled in the new world is a reluctant hero (Sam Worthington) that embarks on a journey of redemption and discovery as he leads a heroic battle to save a civilization. The film was conceived by Cameron 14 years ago, when the means to realize his vision did not yet exist. Now, after four years of actual production work, “Avatar” delivers a fully immersive cinematic experience of a new kind, where the revolutionary technology invented to make the film disappear into the emotion of the characters and sweep the story. Now I know why this movie is such a big deal to everyone. And now I'm totally interested and excited on seeing this film. Suspend yourself in disbelief and tune in to “Avatar’s” official radio partners Magic 89.9, Monster Radio RX 93.1 and 99.5 DWRT for a chance to be a part of this exclusive peek at the ultimate 3D technology yet to revolutionize the movie experience. One of the world’s largest producers and distributors of motion pictures, Fox Filmed Entertainment produces, acquires and distributes motion pictures throughout the world. These motion pictures are produced or acquired by the following units of FFE: Twentieth Century Fox, Fox 2000 Pictures, Fox Searchlight Pictures, and Twentieth Century Fox Animation. Twentieth Century Fox International is a unit of Fox Filmed Entertainment, a segment of Fox Entertainment Group. “Avatar” will open in the Phils. on December 18 (Friday) from 20th Century Fox to be distributed by Warner Bros.